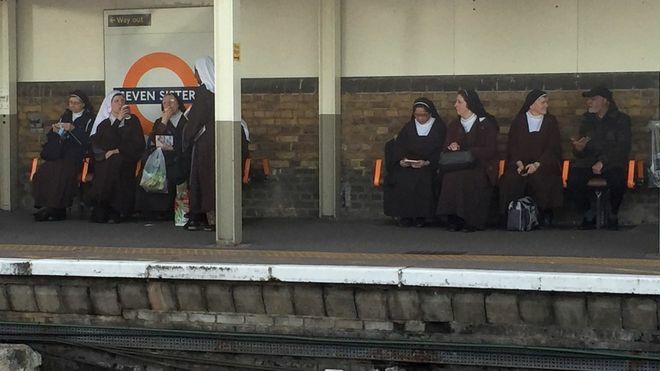 Seven nuns have been pictured at Seven Sisters station in London by a passing commuter. Ben Patey, 33, was on a train when he saw the real-life seven sisters waiting on the platform. He took the photo on his way home, telling the Express: "I had to do a double-take. It was one of those strange but amusing moments." The Tube and overground station, near Tottenham, is thought to be named after a circle of Elm trees. People have been sharing the photo on social media, with one person saying it had made them "irrationally happy". The body of a dead whale has washed ashore near Hartland Quay, and it's thought the tide could be bringing it in further. 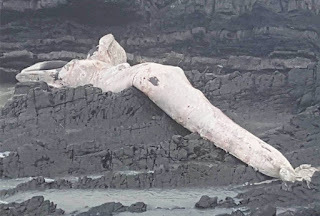 The mammal - thought to be a baleen whale - was first spotted around 4pm yesterday. Sarah Stafford, manager of the Hartland Quay Hotel and Pub, said: "We have reported it to the Government on their specialist whale and dolphin hotline. "It's huge but it's definitely dead. We think it's a baleen whale. ON THIS DAY IN - 1609 - The Bermuda Islands became an English colony.